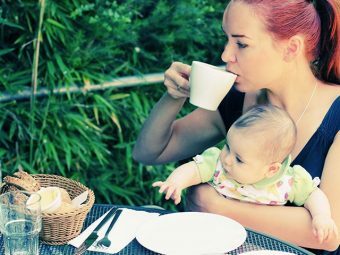 Is Milk Thistle Safe While Breastfeeding? Breast milk is the best option for your newborn to get all the vital nutrients that he needs to grow. Though formula foods are an option, they cannot be on par with breast milk. For some new mothers, breastfeeding is not a problem as their body supplies it in abundance. But that is not the case with all the women. Several mothers face shortage of milk right from the beginning of lactation or in the later stages when the supply comes down. The age-old problem has an age-old solution in milk thistle. Read further to know more about milk thistle for breastfeeding mom’s. Milk thistle is a flowering herb found mostly in the Mediterranean. It contains anti oxidant Silymarin, which is the most active ingredient in the herb. Milk thistle is not a recent discovery. Greeks and Romans used this wonder herb to treat a plethora of ailments, including liver and gallbladder issues. The herb is also known to help deal with alcohol abuse, autoimmune disease, blood sugar, and cholesterol. Milk thistle was also used to increase supply of breast milk in ancient times. But today, it is not widely used. Unfortunately, there are not many scientific studies that can confirm the much-touted breast milk related benefits of milk thistle. The only study that one can count on was done on female rats, and showed that the herb can increase prolactin in the body and stimulate milk production. Interestingly, a random test done in Peru did indicate that women taking milk thistle supplements are more likely to produce larger amounts of breast milk. Milk thistle is a relatively safe herb to use during breastfeeding. If you are a nursing mom, you can consult your doctor for a prescription of milk thistle supplement to help improve lactation. As the herb is not toxic, it is safe for mothers who breastfeed. But it can cause some side effects and has several drawbacks too. As the production and supply of herbs are not regulated, there is a possibility of the product getting adulterated. These products may be harmless in most cases but in some instances, they cause an adverse reaction. Always read the label before you buy milk thistle or related products. 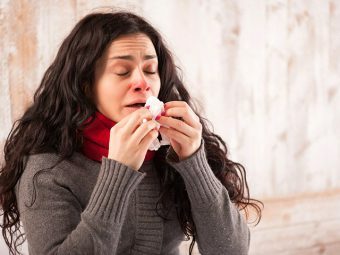 If you are allergic to daisies, artichokes, common thistle, or kiwi, chances are high of you being allergic to milk thistle too. Many people experience allergic reactions such as rashes, diarrhea, and prophylactic shock as a result of milk thistle consumption. 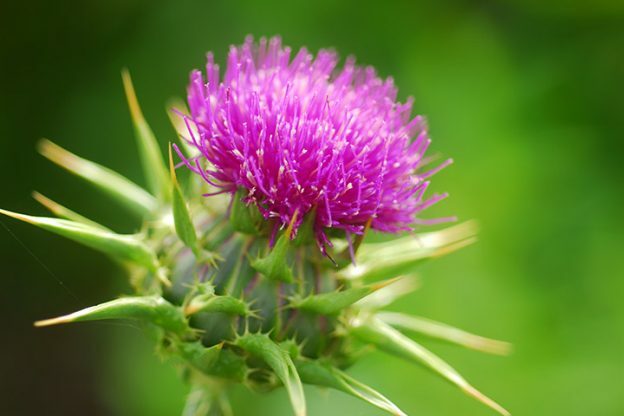 Taking milk thistle while nursing can reduce the effectiveness of several drugs, so it is important to discuss your entire medical history before you start taking the herb. Several women experience constipation due to milk thistle supplements. The list of side effects may seem endless, but they are very rare. So, don’t let this list scare you. Instead, use the opportunity to discuss the possibility of using milk thistle while breastfeeding, with your doctor. It is normal to feel anxious about everything you consume when you are breastfeeding. Everything you eat can directly or indirectly impact your child! That is why it is important to consult your doctor and take the correct amount of medication or herbs, including milk thistle. Most breastfeeding moms can take two to three milk thistle capsules three times a day to improve their milk supply. But as each woman is different it is best to consult your physician before you start popping those pills! Tea: You can try and make some herbal tea using milk thistle seeds! All you need to do is crush one teaspoon of seeds (you can also use ground or chopped seeds) and add it to about 240ml boiling water. Let the concoction steep for about 15 minutes. You can consume this tea two to three times every day for best results. Capsules: Capsules are the most popular way of consuming milk thistle. As mentioned earlier, you should talk to your doctor about the correct dosage. Food: Milk thistle is popular for its seeds, but not many know that you can consume the entire plant after removing its spine! You can make tea with the seeds, eat the leaves raw or make some yummy curry with it, and the buds too can give you amazing results! Supplements: Milk thistle is also commonly found in nursing teas and commercially available lactation supplements. For best results, you should consume milk thistle along with other lactation inducing herbs like fenugreek and fennel. Many women get confused with these two seemingly similar herbs. The truth is both milk thistle and blessed thistle can do wonders for your milk supply. Milk thistle not just increases milk supply but also cleanses your liver, ensuring that the milk you produce is toxic free! Blessed thistle, on the other hand, is a popular option among new moms, and is even recommended by lactation specialists. Milk thistle is behind blessed thistle in the popularity game but has the potential to help you breastfeed your baby for a longer time. Milk thistle products are readily available online, but before you start browsing, have a talk with your doctor. Better be safe than sorry! Did you suffer from low milk supply? What did you do to overcome that problem? Share your tips with your fellow moms!